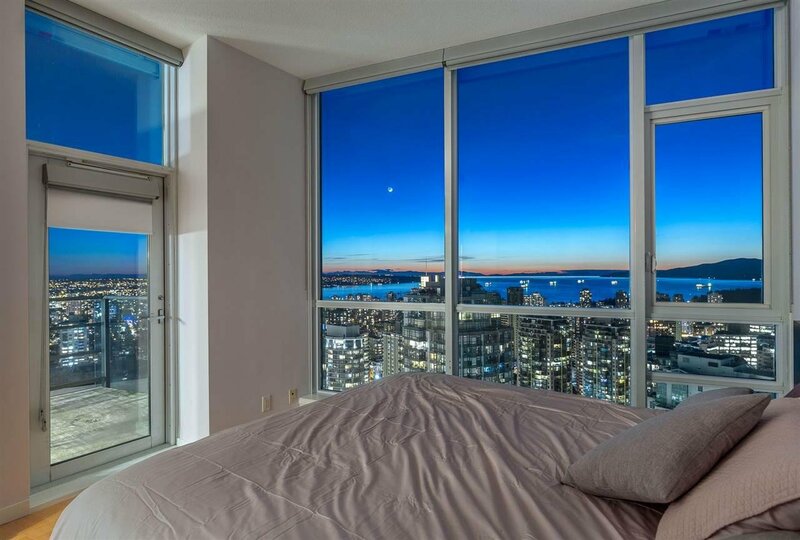 WELCOME TO HEAVEN IN THE SKY! 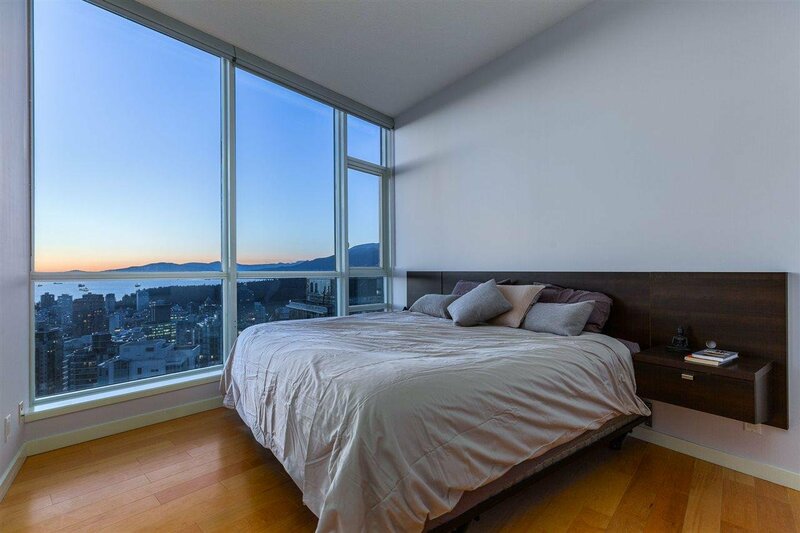 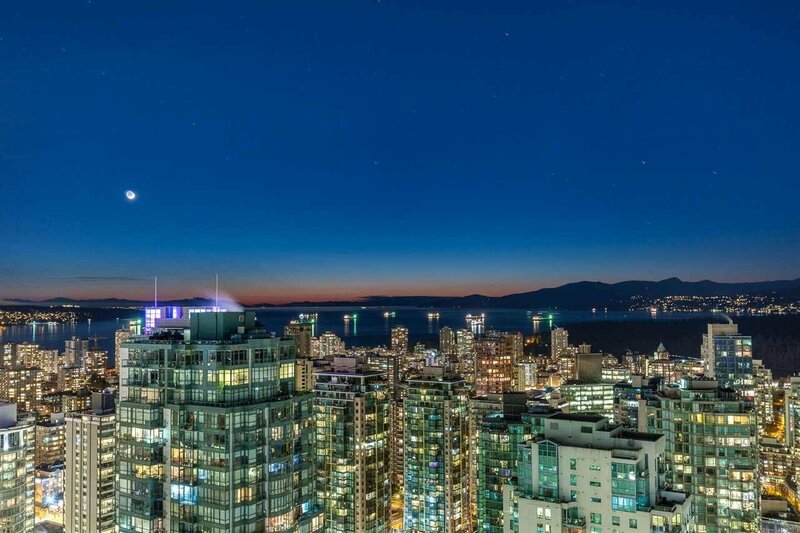 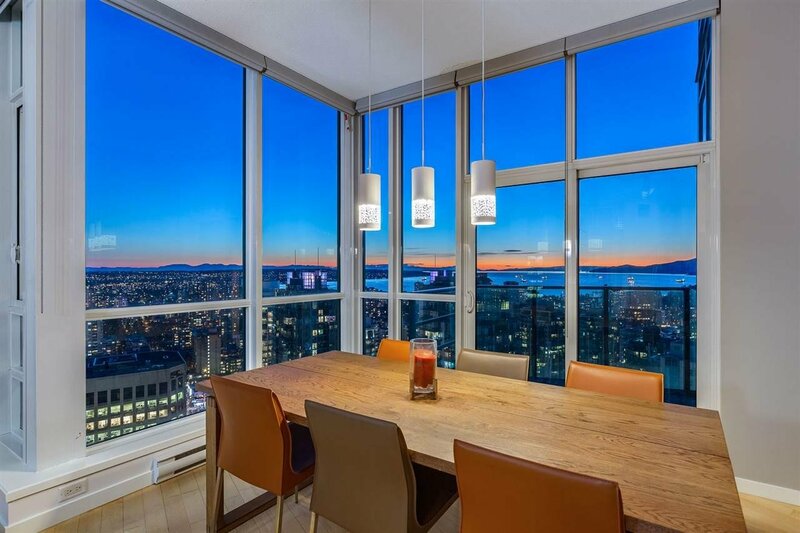 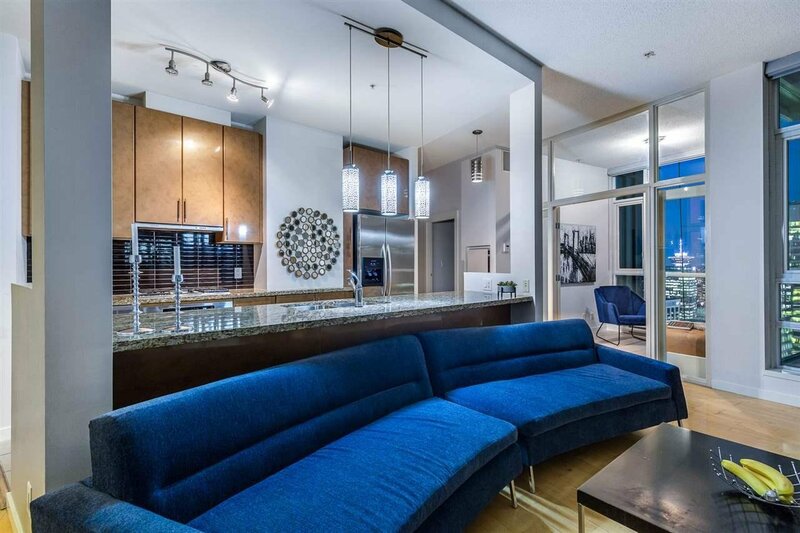 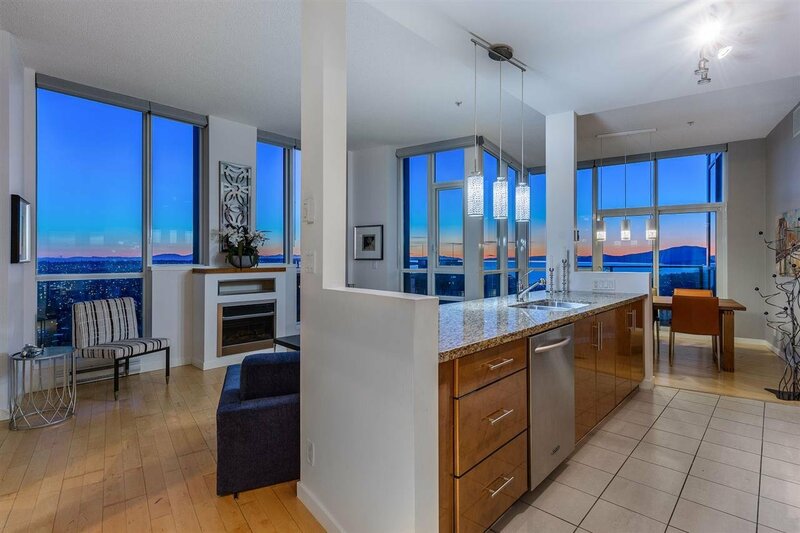 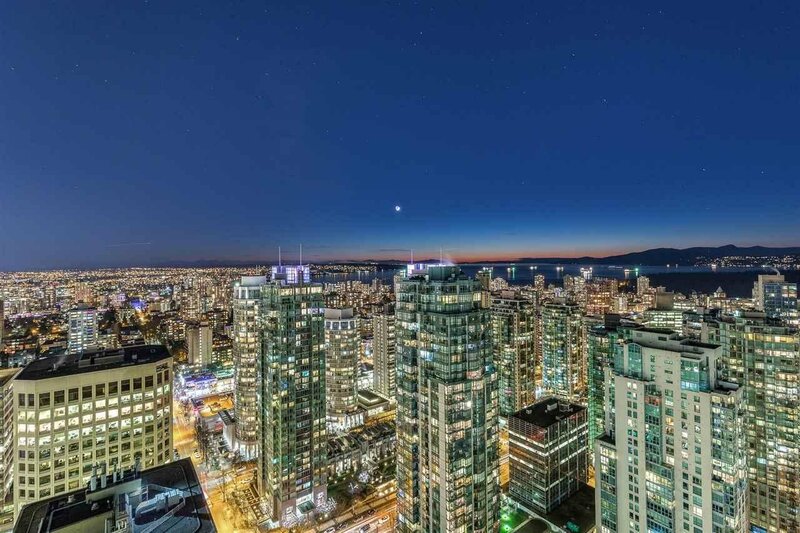 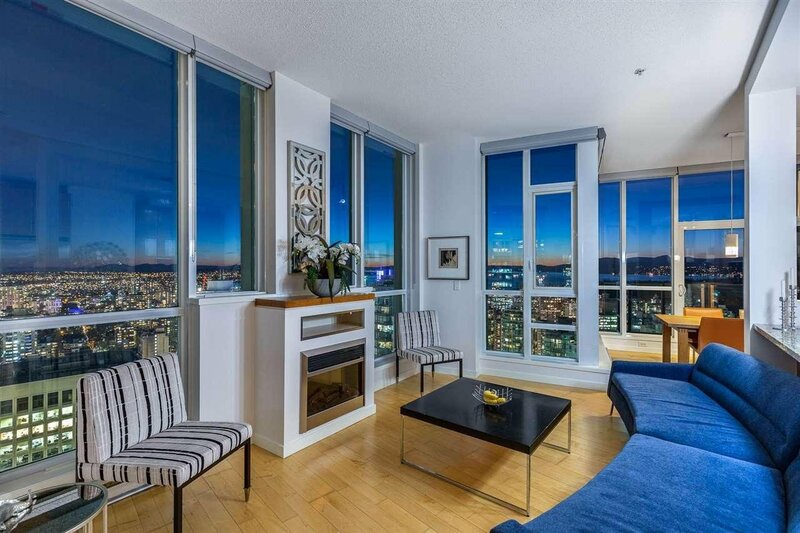 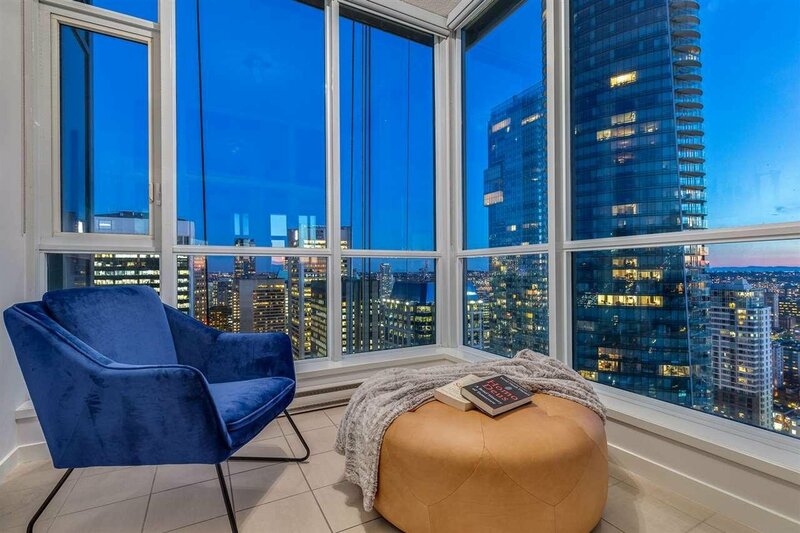 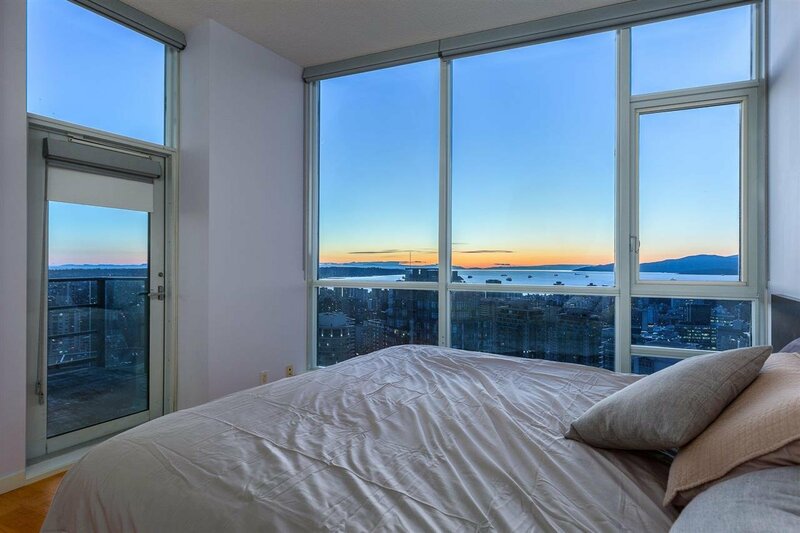 THIS Sub Penthouse: 10 ft ceilings, C. Air conditioning, spectacular unobstructed 270 degree views of English Bay, Stanley Park, city & mountains. 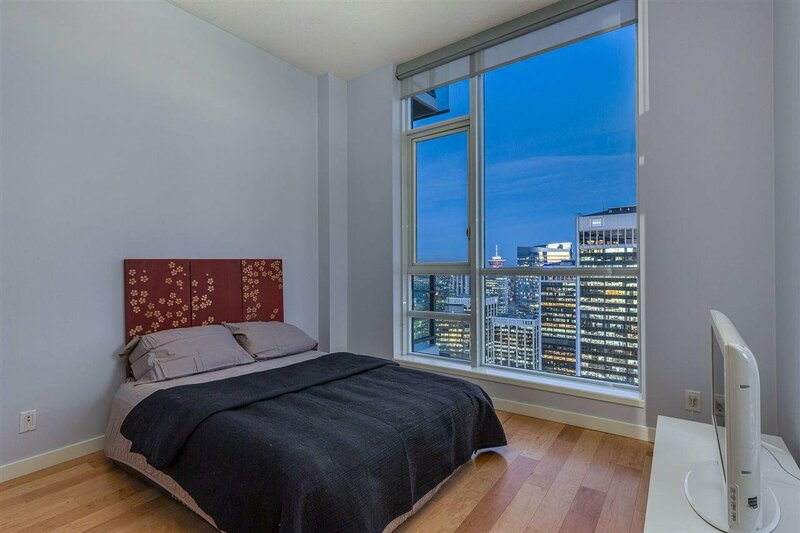 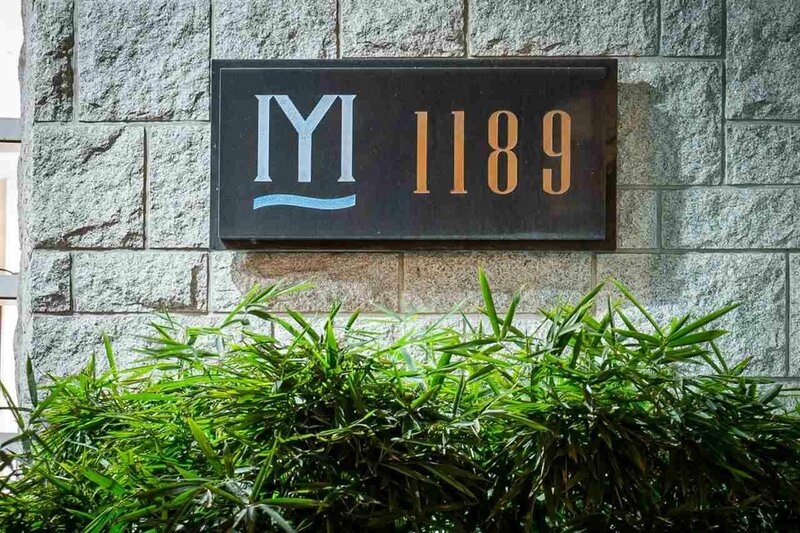 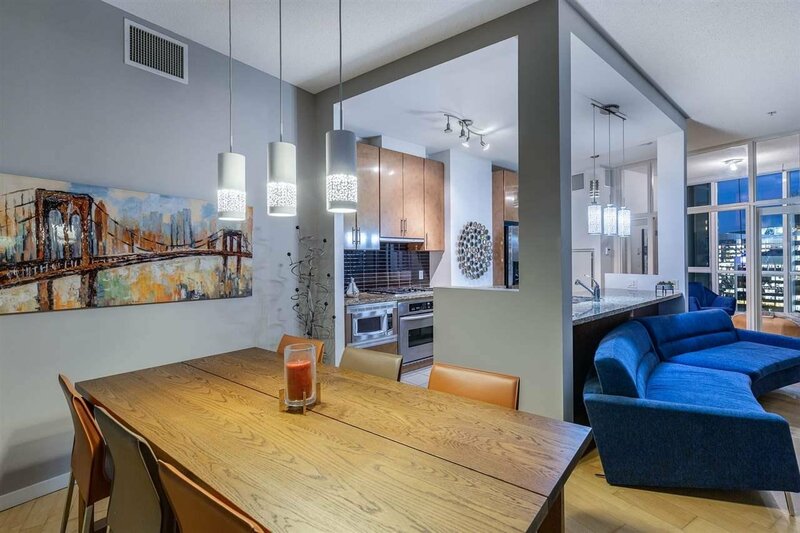 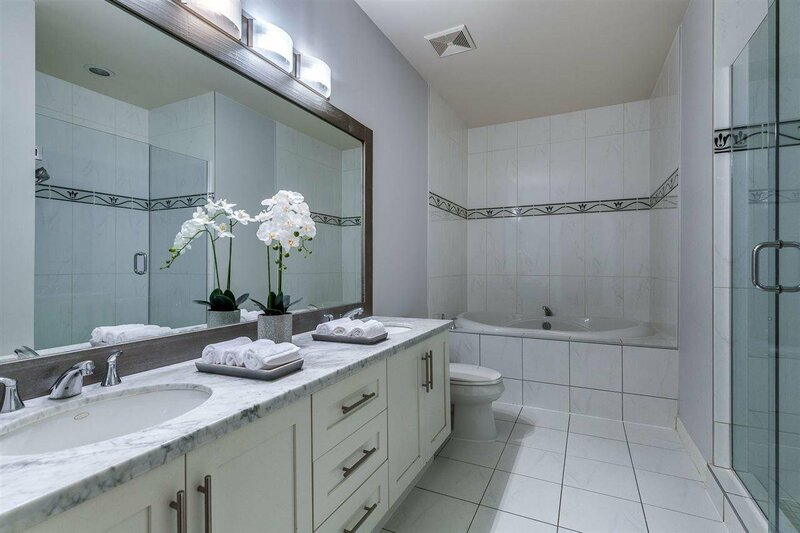 Spacious 1,395 SF 2 bedrooms, 2.5 bathrooms/master bedroom w/radiant floor + den + storage. 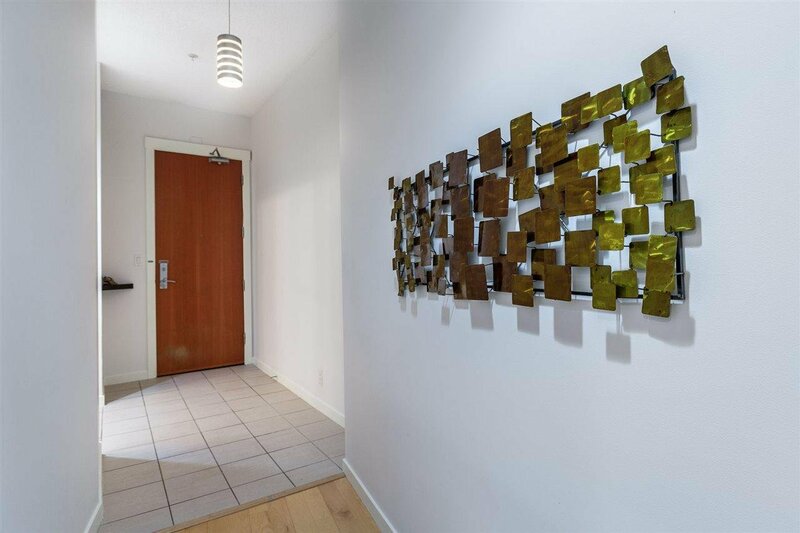 Laminate floor in living room/dining room/kitchen, tile floor in the office, carpet throughout the rest of the suite. 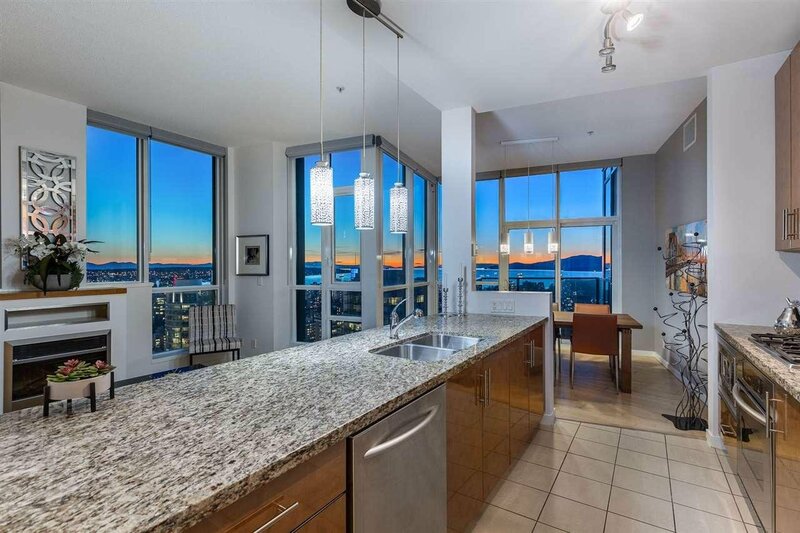 Stainless kitchen appliances, granite countertops both in the kitchen and bathrooms, gas range and electric fireplace. 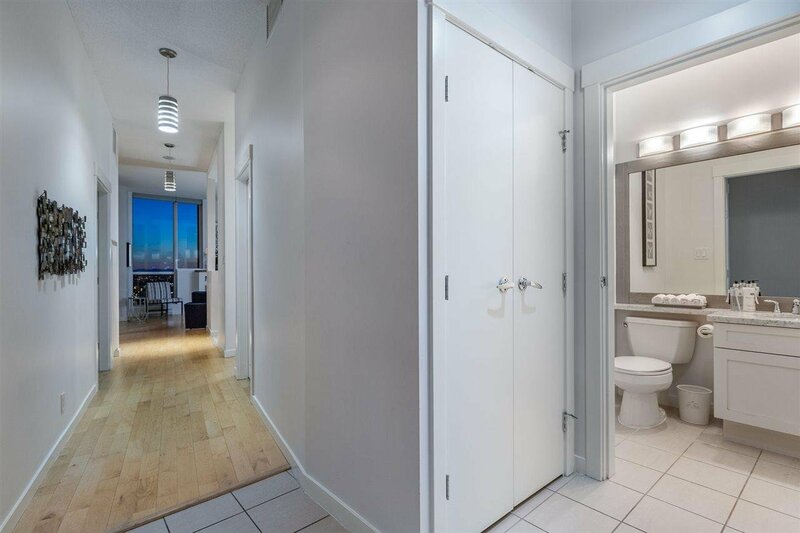 2 side by side parking spots & one storage locker. 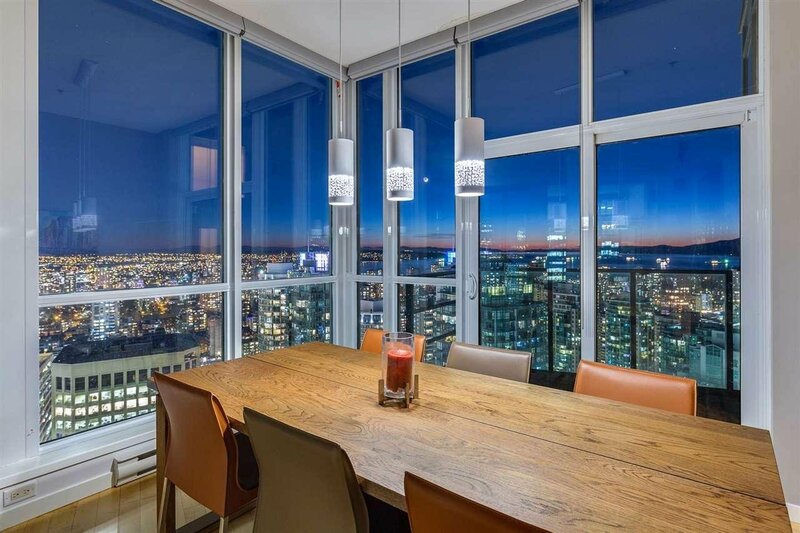 24 hour concierge. 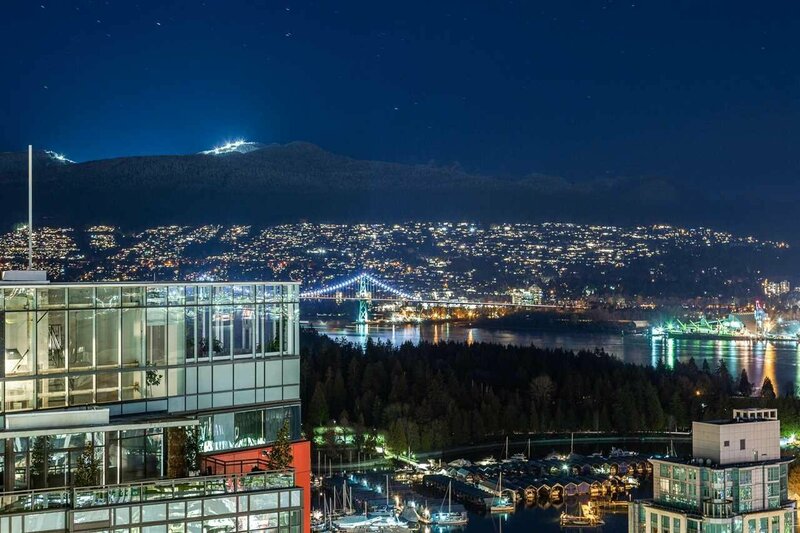 Roof top garden with 360 degree views of Vancouver City and outdoor swimming pool/swirlpool/barbeque area. 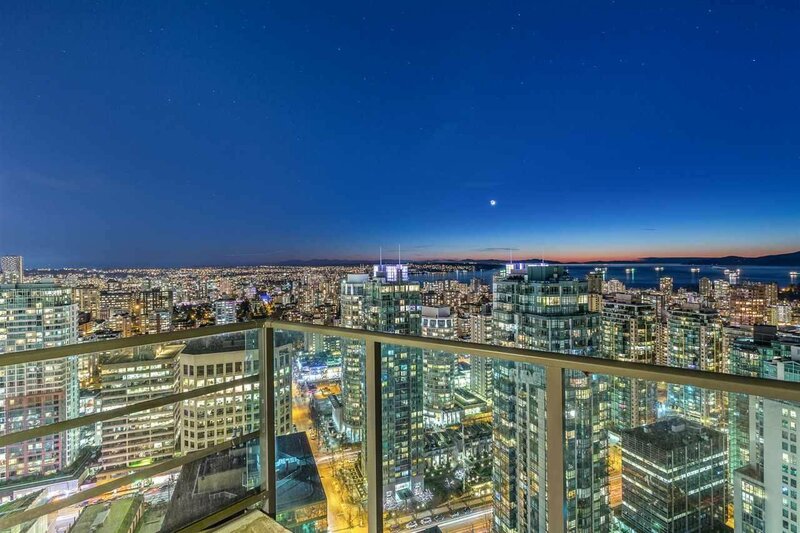 Walking distance to Coal Harbour & Robson Street.